World of Warcraft's latest expansion, Warlords of Draenor, is only a couple days away. It's a momentous occasion for sure, but more WoW is, well, more WoW. We're used to it. What about after that? 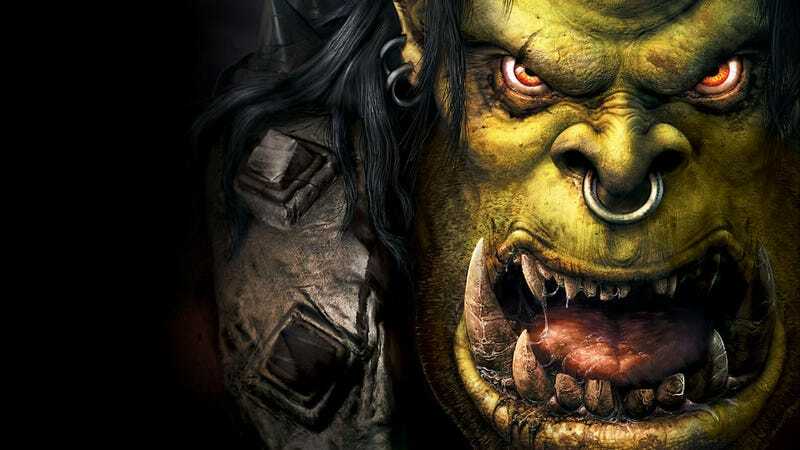 Will we ever see Warcraft IV? Or even a World of Warcraft 2? I asked Blizzard. First things first: World of Warcraft isn't going anywhere, even after Warlords of Draenor wraps up its post-release plot, which will come (as per usual) in a series of patches in the coming months. However, Blizzard wants to drop another bouncing baby expansion into this orc-infested world much more quickly this time. If all goes well, the expansion after Warlords will be out in a year. "Our goal is certainly to release expansions a little faster than we have been," said lead game designer Ion Hazzikostas during an interview at BlizzCon. "I know we've been saying that for years. You can go back and find quotes from 2008 about how we're gonna release one expansion per year. Ultimately that always got hung up on, 'Well, we're not gonna release before we feel it's actually done to a Blizzard level of quality. That tended to take closer to two years. But we've increased the size of our team, and we feel like we're in a place where we should be able to move faster than before. So our goal is to get expansions into players' hands faster." The next expansion is, naturally, in the works already, as is the one after that, to a much smaller degree. Blizzard hopes to fill the gaps between expansions better, too. Shorter waits between major patches, more ways for cow people to wallop wolf-people and whatever-draenei-are people, and so on. For better or worse, Blizzard seemingly wants WoW to live and die keep living, but probably with a slow exodus of people, on content. That means there will always be a cycle of ebb and flow, boom and bust. That also means a focus on the new, not the old, Hazzikostas told me. So while fans have been clamoring for things like a revamp to Outland (WoW's current level 60-70 zone, which many feel is kind of a slog) and legacy time machine servers that'd play like WoW did pre-any-number-of-expansions, you probably shouldn't get your hopes up. The latter, especially, comes with a wheezing, head-barely-above-water boatload of technical issues. WoW has changed a lot over the years, both in terms of gameplay and under the hood. "It's not even remotely as simple as, 'OK load up an old build off some old drives, throw it up on the servers. That wouldn't work," he explained. What about the world of Warcraft beyond the World of Warcraft, though? Here at Kotaku we all secretly work to give Yannick whatever he wants because he has such a good, pure heart, and I'm sure things are no different at Blizzard. So is another Warcraft strategy game—a Warcraft IV, presumably—in the cards? Warcraft III, after all, pushed RTSes forward in a few interesting ways and created many cherished memories in the process. WoW, meanwhile, has given orcs, humans, and everything in between a more personal battleground, a place where everybody gets to be a hero (or jerky ganker, or collector of exotic herbs) to some extent. Sounds like a pretty interesting foundation for a new RTS, right? While Blizzard has "nothing to announce right now," they seem interested too. "There's definitely a lot of cool potential [in tying World of Warcraft and Warcraft IV together in some way]," Hazzikostas said. "Everyone on the WoW team is hugely inspired by the Warcraft RTSes. I'd love to see something like that happen, but it's up to a different team in a different time and place." So I took my question to Blizzard's real-time strategy team, who are currently polishing off the final expansion in the StarCraft II trilogy, Legacy of the Void. Given that they've been tinkering away in the StarCraft factory since 2003 according to some reports, you'd figure they might be ready to trade Protoss pylons for Orc peons. And certainly—while there will still be work to be done on Legacy of the Void post-release—it's an appealing proposition, lead game producer Tim Morten told me. "[Warcraft IV] comes up, especially as the community gets excited about the Warcraft universe," he explained. "We're focused on getting Legacy of the Void done right now, so I don't think we've had the mindshare to say, 'Absolutely, we're gonna be doing X, Y, or Z next.' Going back to the Warcraft universe would be awesome. I'd love to see that happen." He added that the development team is about to add a bunch of official Warcraft assets to StarCraft II's mod tools so players can create their own Warcraft scenarios in-engine. They're based on Warcraft III—not a hypothetical Warcraft IV, sadly—and they're coming out early next year. So Warcraft's present is WoW, and one possible (though not announced) future is a new strategy game, but what about the third option: another MMO, a World of Warcraft 2? I decided to ask on a lark, kind of for giggles, given that Blizzard seems to be moving away from being Your Friendly Neighborhood MMO Empire. Titan got supplanted by Overwatch, smaller games like Hearthstone and Heroes of the Storm now rule the roost, etc. Doubtless WoW is still a major factor at the Blizzard dinner table, but another MMO? It's not the most likely thing in this day and age, but Hazzikostas told me it is still possible. "We could reinvent [something major like combat with patches to WoW], but we wouldn't want to," he said. "And that's definitely one of the constraints of an existing ten-year-old game: you can't fundamentally reinvent the rule set. You can't pull that out from under people without harsh consequences." "If there came a time where a large group of people at Blizzard, we felt like we had a vision for a new MMO with a different vision and some new core mechanics that lets us try things we couldn't do because of the nature of WoW, that's certainly an option we could explore." For now, though, WoW's sticking around for the long haul. Its 12-million subscriber heyday might be in the rear-view mirror, but Blizzard's realm of endless war still has some fight left in it. Let us hope, then, for a bright future—or at least a decently interesting one.